We are a privately owned company founded in 2003 which works together with the architects of Metropolis Architecture to produce outstanding, eco-friendly, modular buildings. Our company produces buildings for a variety of purposes, from yoga studios to garden offices, however it is our range of modular classrooms which are at the heart of our business. We have a particular passion for providing inspiring and spacious classrooms designed by dedicated architects who work closely with staff and pupils to create the perfect modular building for their needs. We ensure every modular building we create is of superb quality and maximises energy management, sustainability, design and durability. We’re extremely passionate about the buildings we create and firmly believe that our inspiring spaces can have a huge impact on the learning and education children receive today. 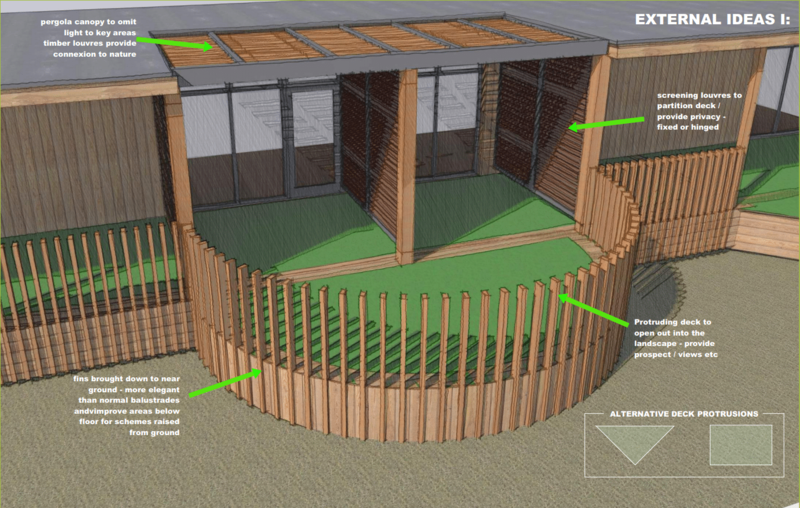 We place great importance on our biophilic architectural designs, which means we ensure our modular classrooms can help pupils feel connected to the natural world. This, in turn, can have a positive impact on the mood and attitude of students towards learning and their behaviour. There is a vast range of elements we can incorporate into a building including using sun pipes, living walls, murals and the use of natural materials. These are only a few of the techniques we use to create the perfect learning environment. We are registered members of CHAS and BESA as well as the CIBSE and NAPIT, ensuring all our constructions are safe, secure, eco-friendly and sustainable, providing the maximum satisfaction for our clients. Our eco-friendly buildings have led us to become proud winners of the 2014 Green Apple Award for the built environment and we have received a five star rating* from our customer base which has also led to further national design awards. Having constructed 700 buildings in over twelve years, our thirty strong team, includes an array of architects, structural engineers, surveyors, manufacturers, project managers, craftsmen and technicians with exceptional experience in developing modular eco-buildings. We make the client our top priority and from the first survey to the last glass panel we put in place, making sure that they play a key part in the design and building process. We always seek to make the construction process as simple and as easy to manage as possible and, with our all-inclusive service and mutual client involvement in all the projects we conduct, we ensure we live up to that expectation. All of our buildings are designed and built to expert and professional standards with form, function, security and efficiency at their heart. Stringently checked and tested alongside safety regulations put in place for educational institutions, their modular nature allows for additional safety instalments to be made far more easily than in traditional brick and mortar buildings. For example integral sprinkler systems are far cheaper than a retro fit. Modular classrooms are specifically designed to be as eco-friendly as possible, saving energy usage through advanced insulation, solar panelling and natural light sourcing whilst using sustainable materials and natural preservation methods to help the environment and increase the longevity of our buildings. Furthermore, every eco-classroom we build comes with a fully paid service which covers all costs of the building project and a ten year warranty, ensuring your investment is in good hands.